Need Help With Your Skimmer? Does My Small Fish Pond Even Need A Skimmer? 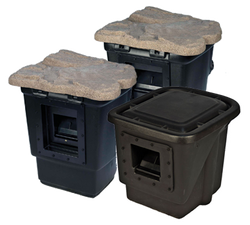 The addition of a pond skimmer for your new Rochester (NY) water garden is essential if you would like an easy to take care of, low-maintenance fish pond. 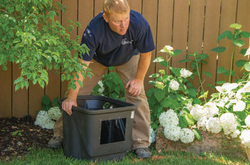 Windswept debris from nearby trees and shrubs will get pulled into the skimmer filter where they can be easily removed instead of settling to the bottom, creating muck, crud and sludge that can cause water quality problems. 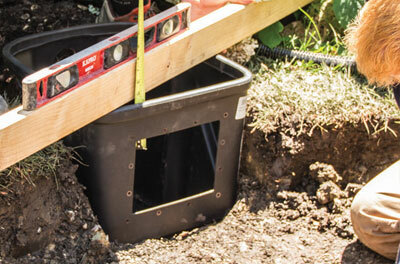 So you’ve finally decided to install a fish pond in your backyard! No more salivating over the neighbor’s pond or flipping through water gardening magazines, dreaming of having your own piece of tranquility. 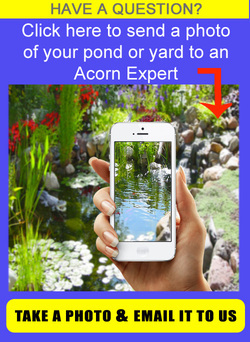 Or maybe you would like to make some changes to your existing pond. 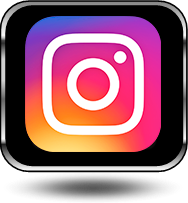 Acorn Ponds & Waterfalls offer pond skimmer installation & repair services for those of you who would like to upgrade an existing pond or install a new pond. 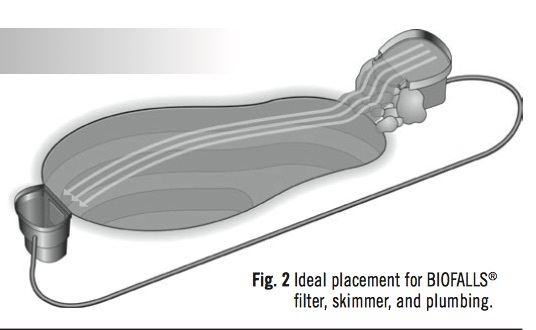 Mechanical Basics also referred to as skimmers, are a huge part of your pond’s ecosystem. 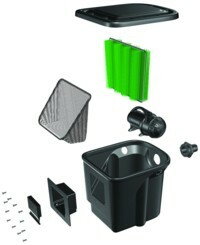 Mechanical filters house and protect the pump, ridding ponds of larger particles, waste, and sediment. There are many types of filters designed to perform this task and Acorn will help you make the right decision so you don't waste hard earned money on something you won't need. 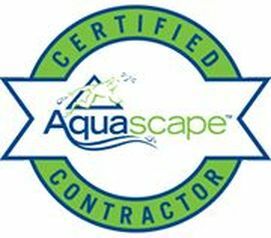 At Acorn Ponds & Waterfalls, we use the Aquascape filtration system because we know they work and make water gardening easy for our clients. 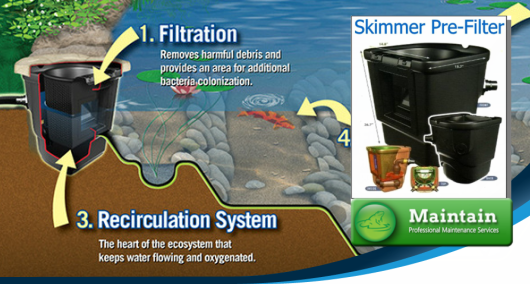 Place the skimmer in desired location that is preferably opposite the waterfalls for better Filtration. Mark the area around the skimmer with paint and excavate to depth of the skimmer. 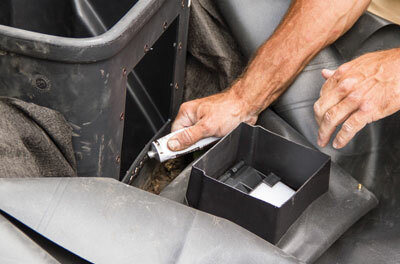 Install bulkhead fittings and PVC slip fittings to receive plumbing. Set water level at 3/4" below the top of skimmer faceplate opening. Place skimmer in excavated area & backfill. Set up & level the skimmer from side to side and front to back. Attach the liner to the face of the skimmer (make sure weir door is not upside down). Excavate area for overflow approximately 5 feet from behind the skimmer. 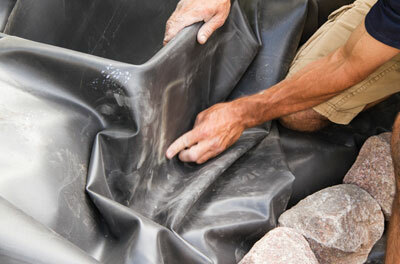 Line the pit with landscape fabric. Fill the pit with excess gravel and small stone. 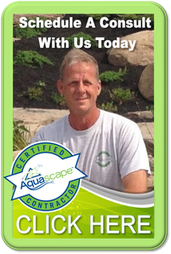 Acorn Ponds & Waterfalls specializes in pond renovation, maintenance and repair. If you are struggling to maintain your pond or water garden, the addition of a skimmer will reduce maintenance drastically. 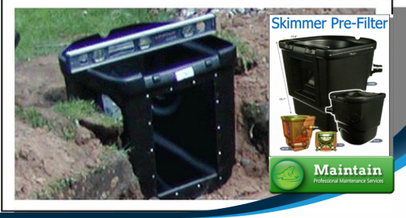 We can retrofit these pond skimmers to fit almost any pond, new or previously installed! 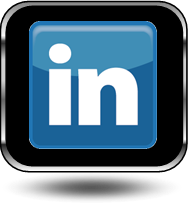 Contact us for more details now. START REDUCING YOUR POND MAINTENANCE NOW!